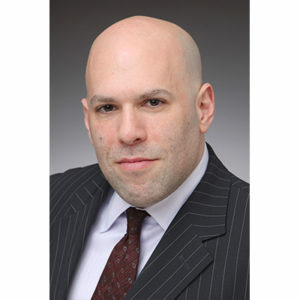 Neal W. Cohen has been a litigator since 1995, focusing on commercial litigation, including bankruptcy litigation, intellectual property litigation, and real estate foreclosure, among others. Mr. Cohen joined the firm in 2002. Mr. Cohen has litigated matters on behalf of official committees of unsecured creditors in the chapter 11 cases of Hitachi Seiki USA, Homemaker Industries, Inc. and Tender Loving Care Healthcare as well as the post-confirmation Liquidation Trustee in the Oakwood Homes cases, among others. Mr. Cohen has also handled representation of insurance coverage matters throughout the country on behalf of one of the world’s largest credit insurance companies including policy coverage, claims, and bad faith litigation. Mr. Cohen has handled the prosecution and defense of preference adversary proceedings, claim objection disputes and lien litigation on behalf of creditor’s committees and corporate clients, respectively. He has also tried cases, conducted evidentiary hearings, negotiated and documented complex settlements and litigated appeals in the state and federal courts. Mr. Cohen earned his J.D. degree from Hofstra University School of law, where he was a dean’s list student, in 1995. He received his B.A. from the State University of New York at Binghamton in 1990. Mr. Cohen is admitted to practice in New York and the U.S. District Courts and Bankruptcy Courts for the Southern, Eastern, Northern and Western Districts of New York as well as the U.S. District Court for the Eastern District of Michigan. In addition, Mr. Cohen is admitted to practice before the United States Court of Appeals for the Second and Third Districts. He is a member of the American Bar Association and the New York State Bar Association.